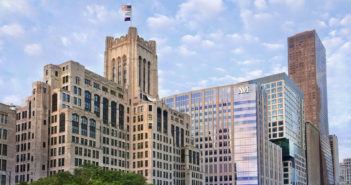 A novel chemotherapy regimen led to improved outcomes for older patients with Hodgkin lymphoma, similar to those of younger patients, according to a Northwestern Medicine clinical trial. 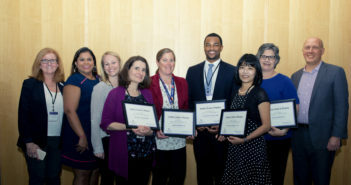 At the eighth annual Medical Education Day, Feinberg faculty, students and staff gathered to celebrate and advance medical education through workshops, lectures and an awards reception. Students, faculty and alumni gathered for the seventh annual Driskill Day, celebrating the Driskill Graduate Program in Life Sciences by welcoming 28 new students and showcasing the program’s strengths in scholarship and scientific investigation. Led by Melissa Simon, MD, MPH, the Center for Health Equity Transformation will build research infrastructure, conduct workforce development and support community partners in the effort to advance population health equity. Veterans Affairs-supported tuition aid for military veterans enrolling in medical school covers a smaller proportion of tuition compared to aid for other graduate programs, according to a recently published Northwestern Medicine study.